Due to its geographical location, Alabama is an attractive location for bird watchers to visit. The state is a haven for many resident birds found only in the Southeastern U.S., plus serves as a significant flyway for birds traveling from South and Central America all the way to the Arctic Circle. 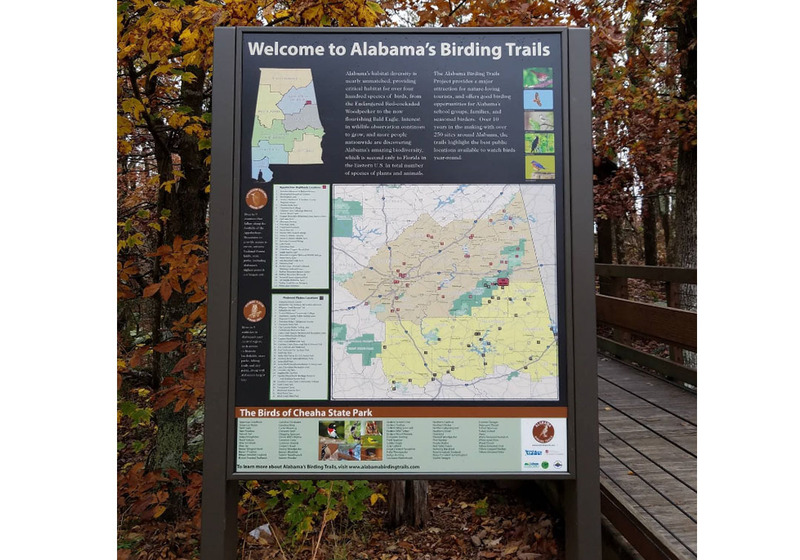 The Alabama Birding Trails project covers nearly 300 locations across the state that have been deemed premier birding sites by seasoned birders and naturalists. 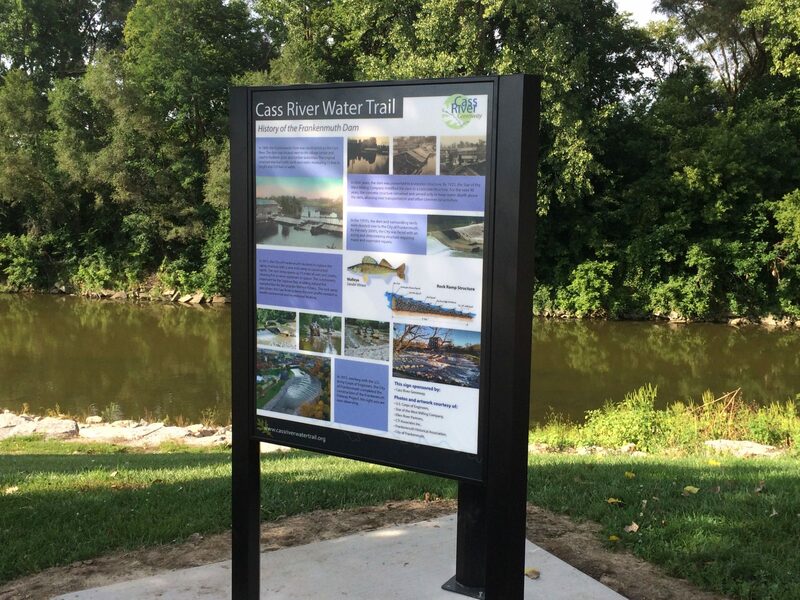 One of the cornerstones of the project is interpretive panels at locations statewide. To date, Pannier has manufactured nearly 30 outdoor exhibits with future plans for additional waysides. The Alabama Birding Trails project started nearly 20 years ago along the Gulf Coast with 50 locations. Since that time, the initiative has grown to cover every corner of the state, focusing on 280 public locations with low profile displays being added to enhance the overall experience for bird watchers. Visitors will find that each Fiberglass Embedded (FE) graphic serves a different purpose. While some wayfinding panels provide guidance, others are educational signs providing assistance with bird identification. 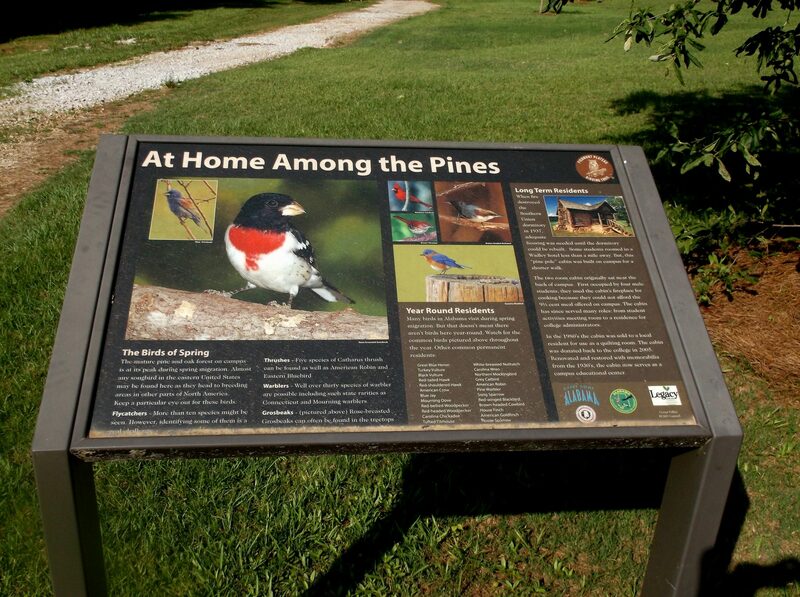 There are also traditional interpretive signs that include information about soaring birds, habitat and location history. 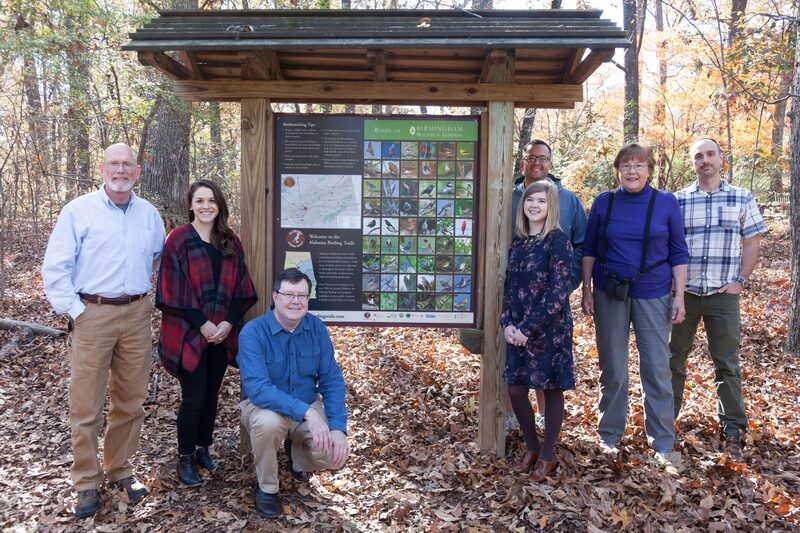 As a whole, the Alabama Birding Trails project has played a major role in protecting over 430 species of birds and increasing educational opportunities for schools, families and bird watchers. The project has helped to highlight locations as birding hotspots which has saved them from being lost to development. They’ve also featured bird releases and introduced a series of exciting posters in Alabama school systems. Most importantly, the program has highlighted the ways that ecological tourism can mean economic development and increased revenue to communities across Alabama. To learn more, visit www.alabamabirdingtrails.com. For more information on how Pannier can help with your next project, contact a Business Development Representative today! Pannier has been the established world leader in durable signage for more than three decades.